If you didnt know already, we love gnomes! Here are some cute ones drawn by our friend chris! Filed under Art, Fashion, Just Because, Party Time! 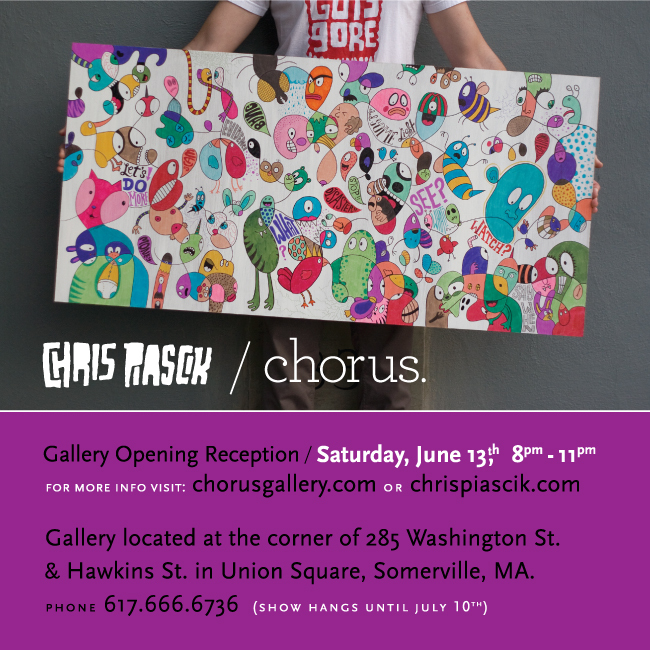 Next Friday, June 13th is the opening for Chris Piascik’s solo show at Chorus Gallery in Somerville, MA. He will be showing a number of brand new, large format paintings along with t-shirts. The opening is from 8-11pm, and located at 285 Washington St in Union Square.